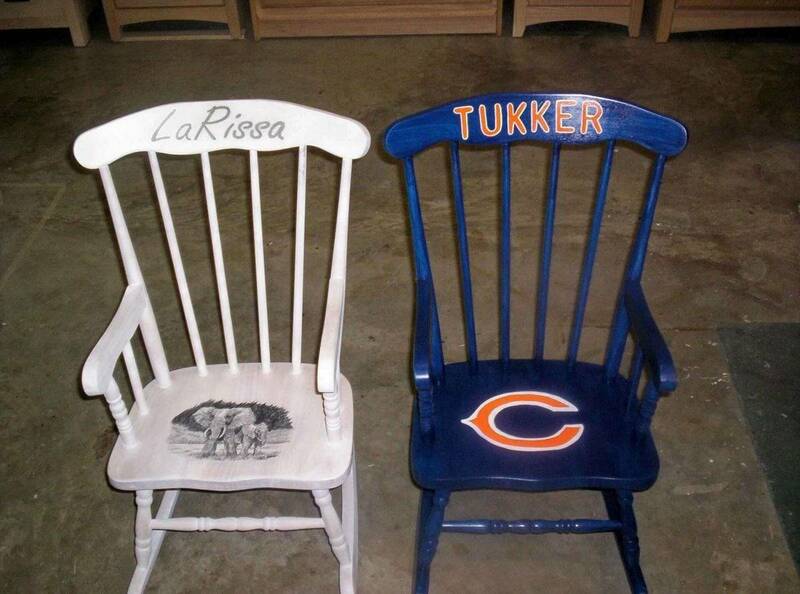 These 2 rocking chairs were custom made as Christmas presents. As customer requested we put elephants on one and Chicago Cubs logo on the other one. Then personalized them with names. We can paint whatever you desire for that one of a kind rocker.